I've never been one to go out and party hard on New Year's Eve. In fact, nearly every year I prefer to stay in, play card games, and eat snacky foods washed down with sips of champagne. There is something about ringing in the New Year that way that feels cozy and comfy and it fits just right. Like a warm pair of slippers. When we lived in Japan, Brad and I went to the neighborhood shrine to celebrate with cloudy, white, unfiltered, delicious sake. The last year we lived in Tokyo, we attempted to venture out but our barely 1 month old little boy was not feeling it. I wrapped him in his baby wrap and he clawed at my neck and screamed at the top of his very tiny, extremely noisy lungs until we gave up and turned around to head back home. This year, we will be laying low. My bulging belly is not up for a night out and I'm pretty sure seeing a pregnant woman almost ready to pop is a buzz kill for most people who are out looking for a good time. Just a guess. In the spirit of keeping it cozy, I wanted to share 6 of my favorite New Year's Eve appetizers from the site that would be perfect for ringing in 2015. And also, I would like to present the bulging belly I mentioned above. Just 2 1/2 more weeks to go! This is one of my all-time favorite condiments to have in the refrigerator. It's perfect with smoked salmon and crackers. The flavors are fresh and clean and provide a nice change from the typical richness of holiday appetizers. Endive leaves are the perfect vessel for hearty, flavorful dips and spreads. Their crispness is a welcome contrast to the creamy smoked salmon dip and helps satisfy that crunchy craving otherwise fulfilled by chips. I'm a sucker for a good dip. This one has been a favorite since I first made it about a year ago. 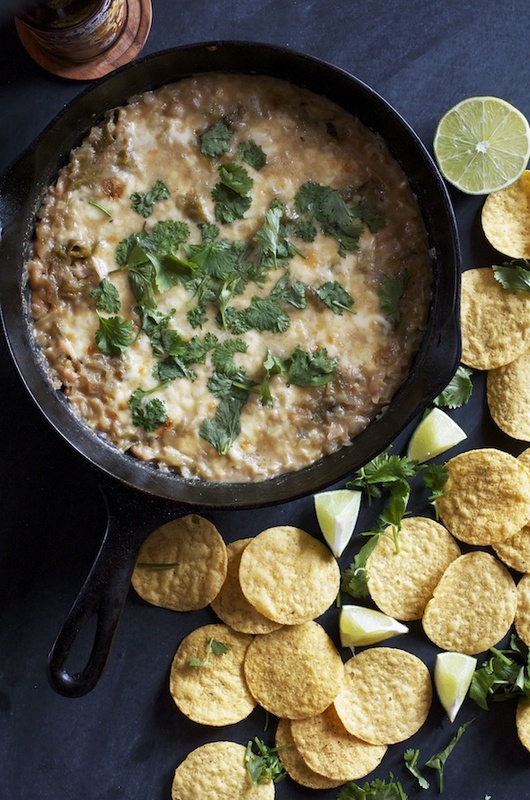 We love it on game days and for an easy, crowd-pleasing party appetizer. This is one of the most beautiful appetizers for the holidays. The vibrant color of the fresh and dried cranberries alongside the bright green cilantro is festive and a stunning dish to add to your appetizer line-up. The savory cheesecake is flavored with a little garlic and adds a nice, creamy contrast to the spicy-tart relish. Pimento cheese + toast + slices of tart green apple. Perfection. 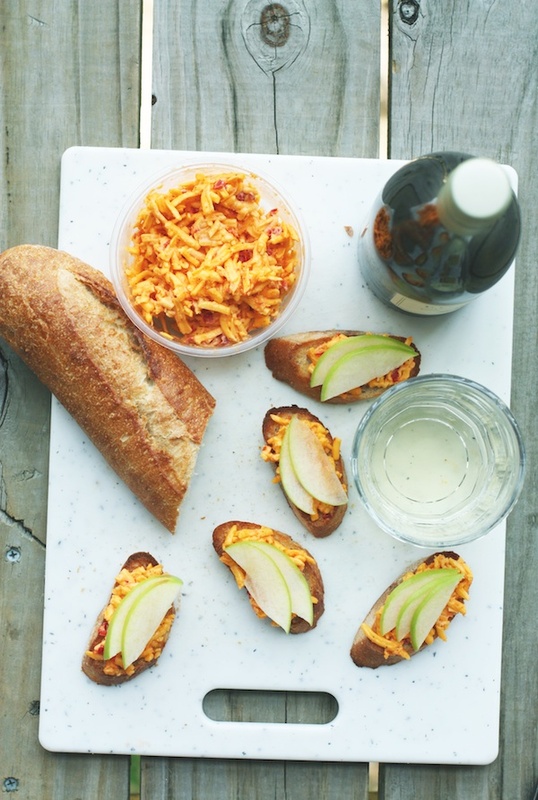 And, lucky for all of us, The Pioneer Woman just posted a fabulous looking recipe for pimento cheese that would be perfect for this party app! And there you have it! The perfect selection of appetizers for snacking on during a cozy night in or with a group of your very favorite people on New Year's Eve. Here's to a great New Year! Sending love to you all, wherever you may be and however you are celebrating. Cheers!